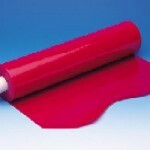 Dycem is a thin non-woven fabric which has been coated on both sides with the Dycem non-slip material. Dycem is very flexible and can easily be cut to any size or shape desired. 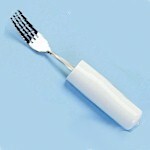 It is also very malleable so it can easily be fitted around objects to allow easier grasping or non-slip gripping. Dycem is frequently used as meal tray liners, coasters, etc., but has a multitude of uses including wrapping around steering wheels to enhance the grip. 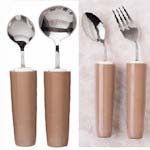 Great for those with Rheumatoid Arthritis or other with gripping difficulties. It is washable and reusable! When it starts to lose some of its ""tack"" simply wash in warm soapy water. It is not recommended for dishwashers. 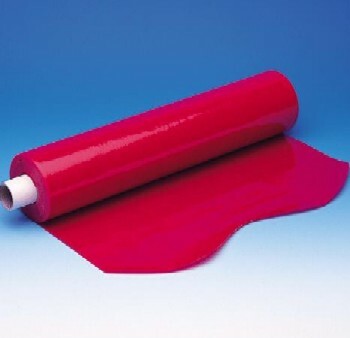 ElderStore's is currently offering this product in rolls of Red Dycem 8"" by 2 yards. 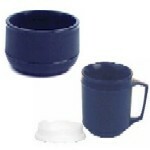 It is also available by special request in both blue or yellow and in rolls of 16"" by 2 yards or 16"" by 10 yards. Delivery time for a special request is approximately 10-14 days. Designed to lessen the intensity of hand tremors commonly associated with Parkinson's Disease and other related illnesses.